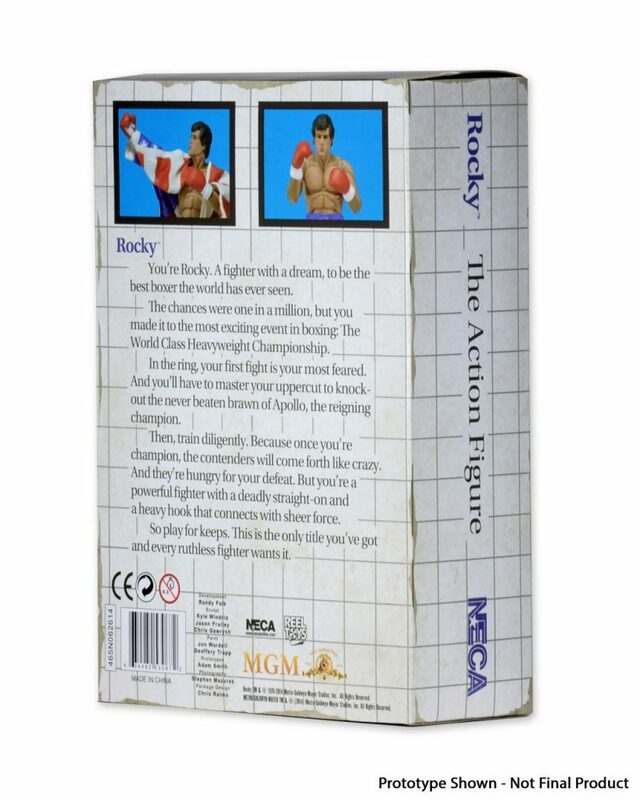 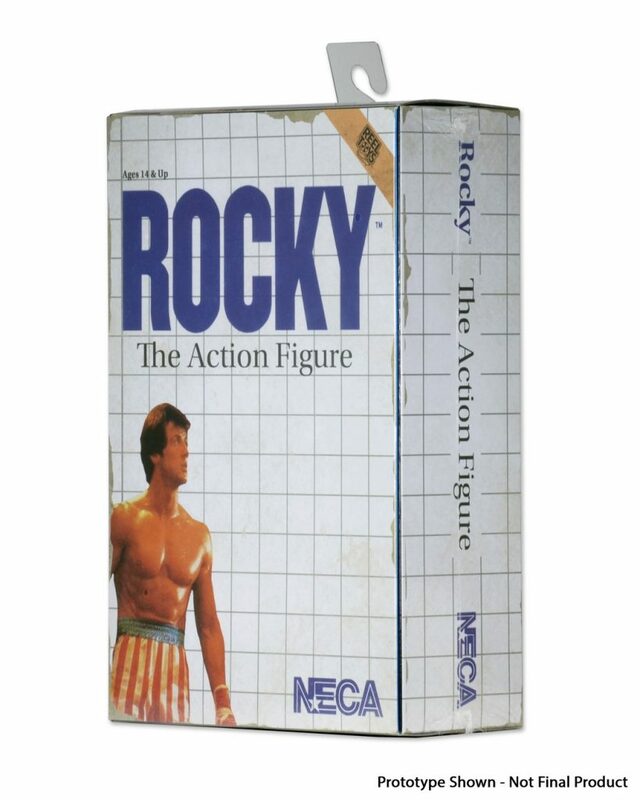 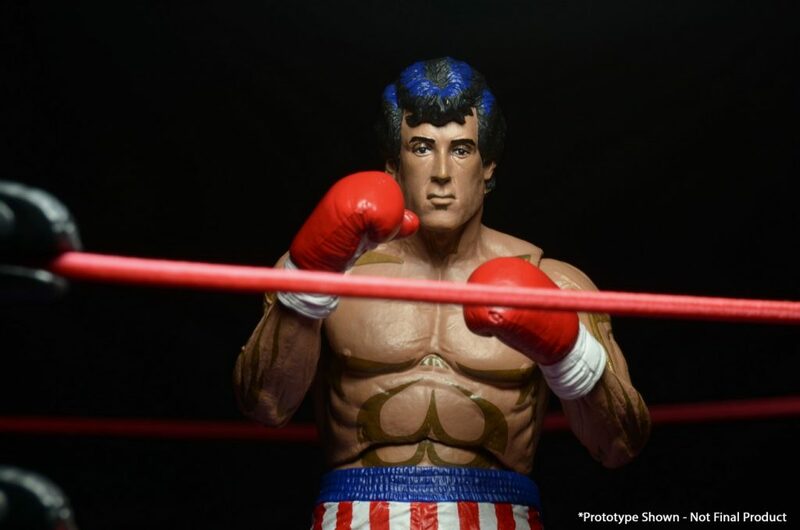 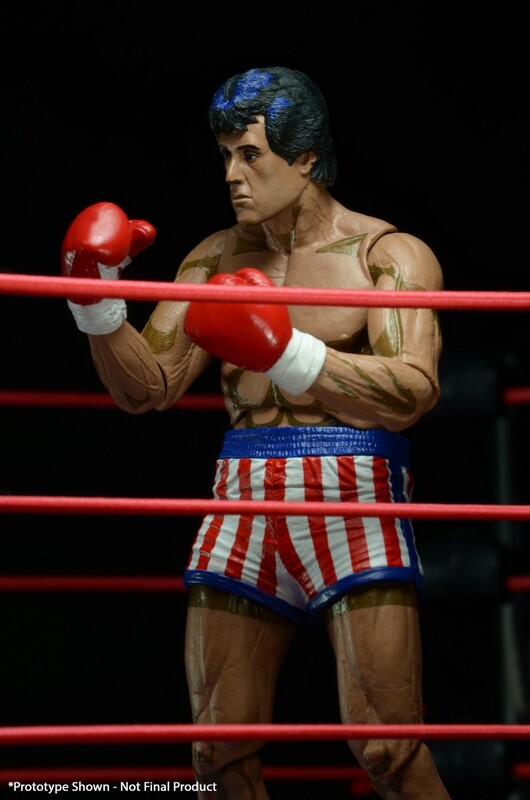 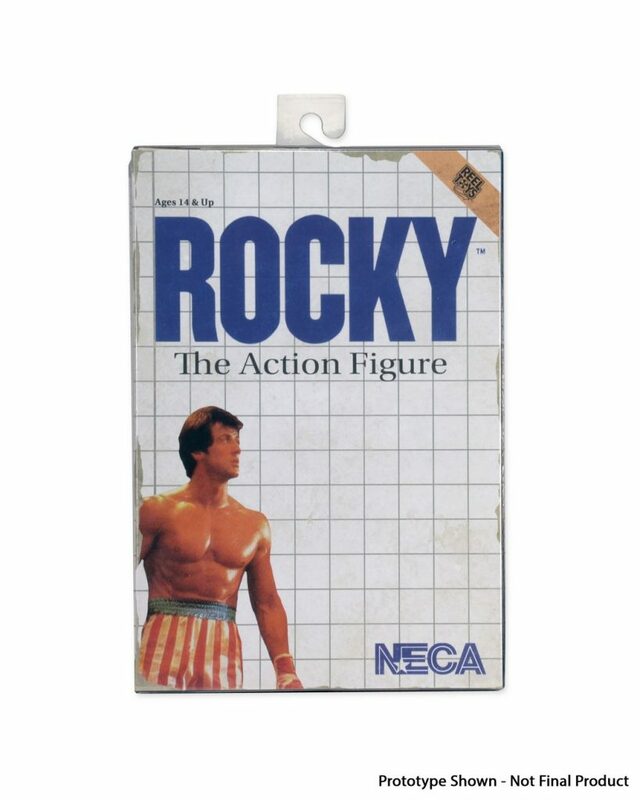 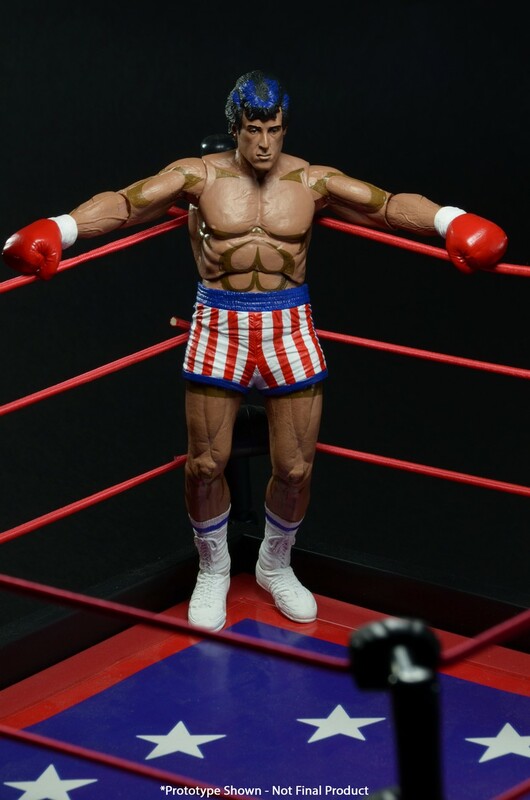 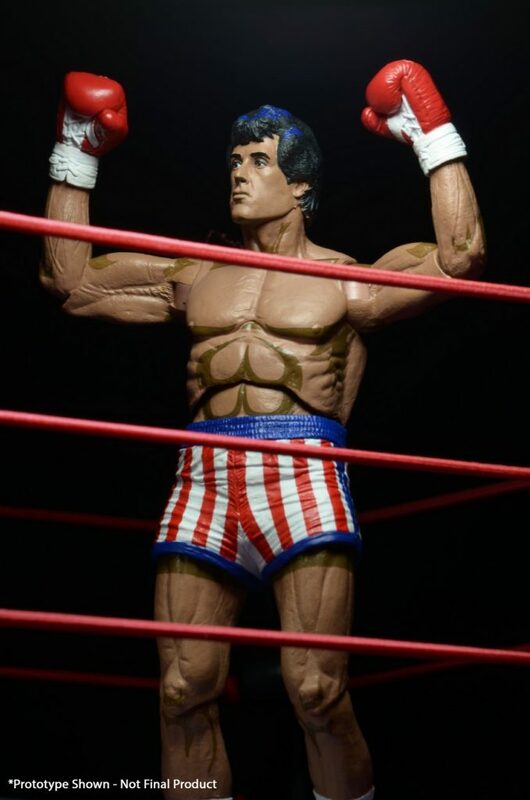 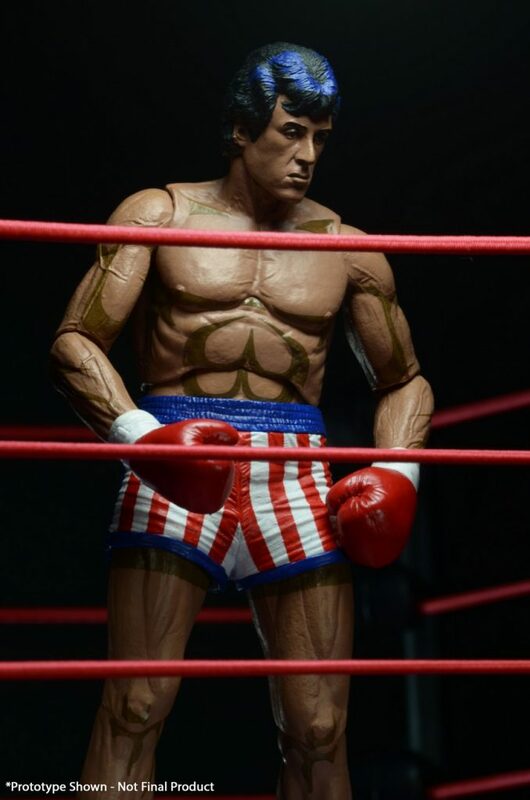 And in less than a month, our Rocky action figure from the classic 8-bit video game will prove it — against any and all other figures on retail shelves! 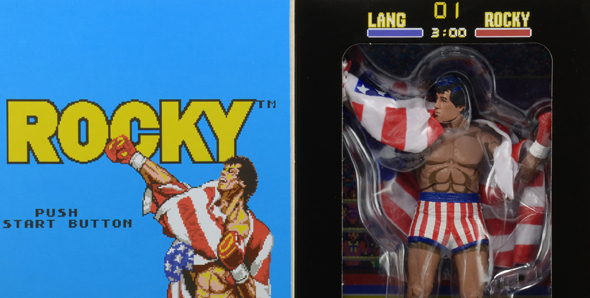 Preview the big fight below, because the contender is set to ship in February. 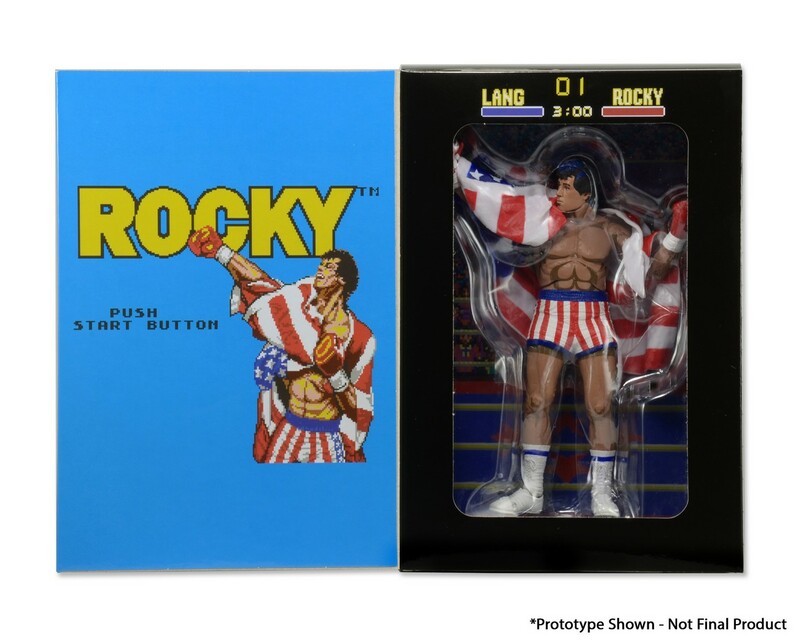 Rocky is the fifth figure in our highly successful line of classic 8-Bit video game tributes. 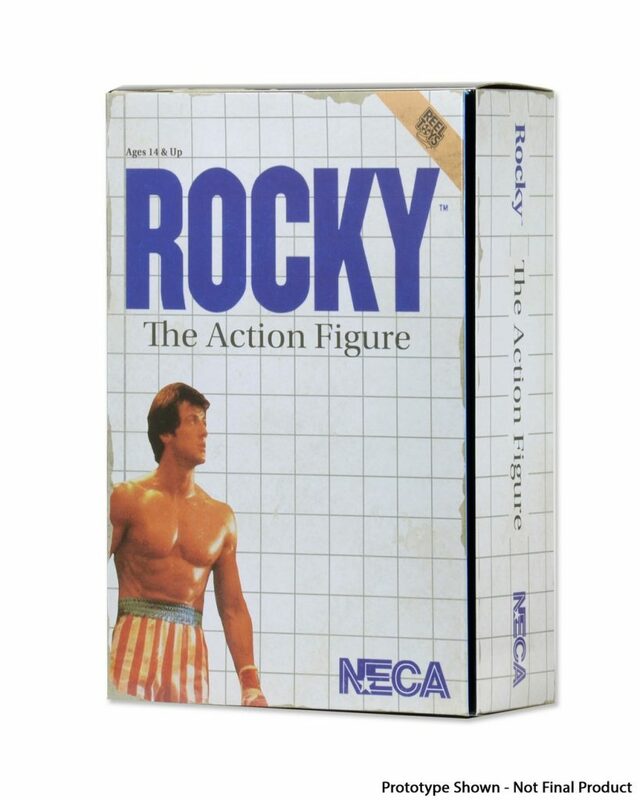 Released in 1987 for the super popular 8-Bit home console, the video game Rocky is an ’80s classic. 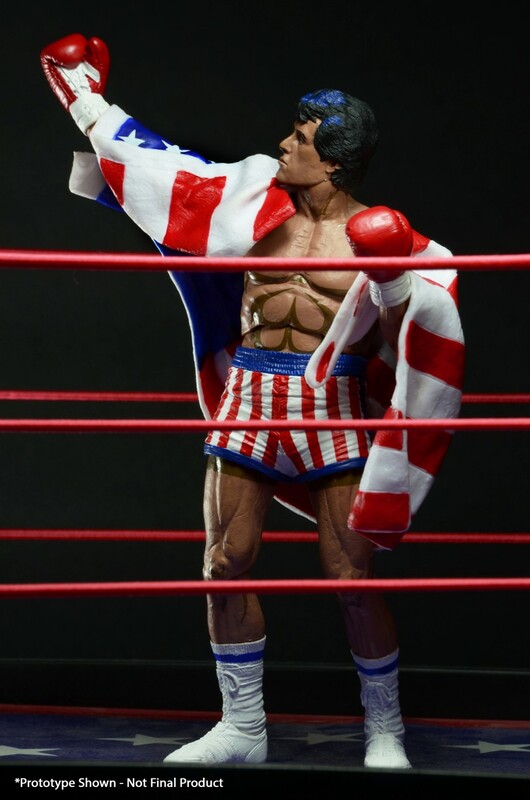 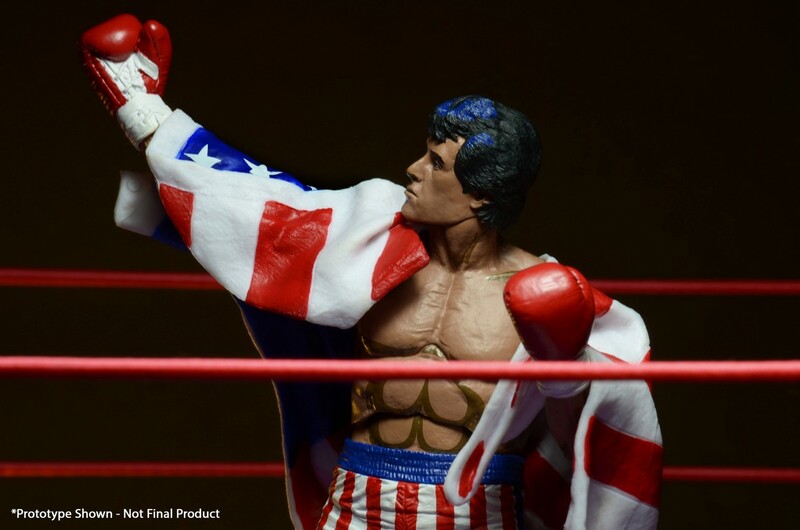 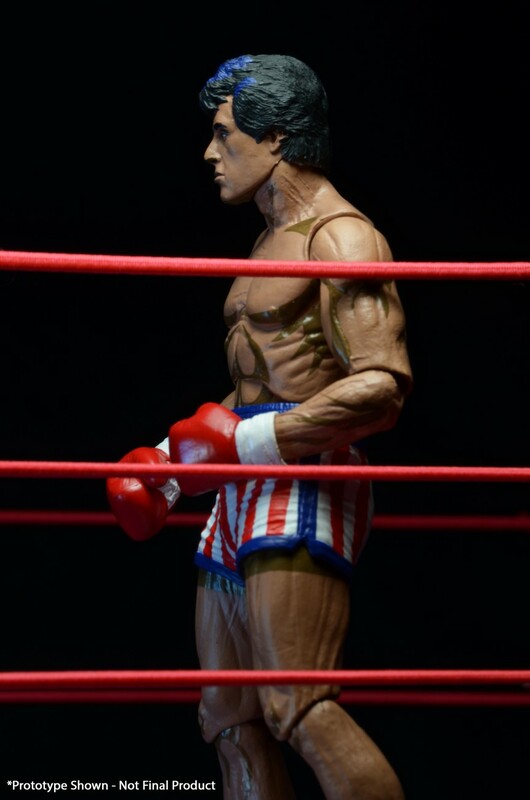 This fully articulated 7-inch tall figure comes with removable American flag that can be draped over his shoulders. 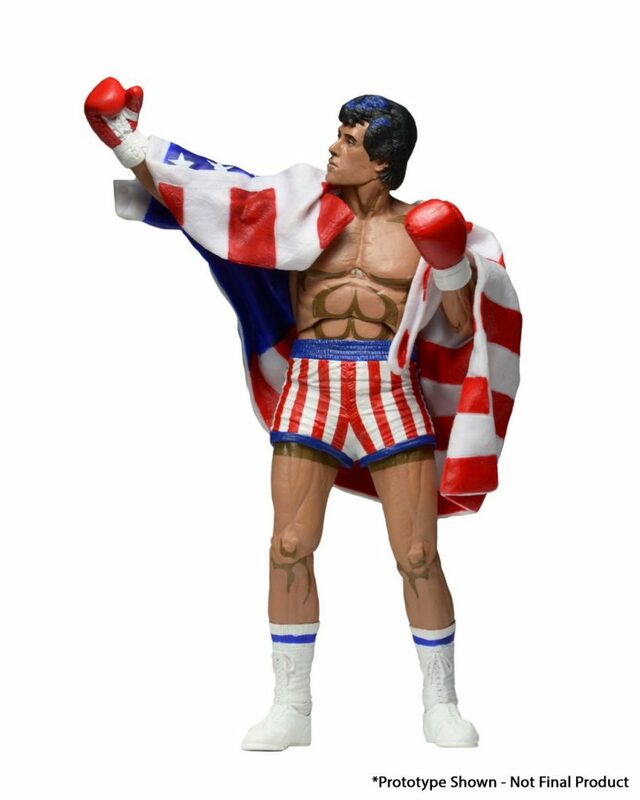 Featuring over 20 points of articulation and painted in a stylized approach with a hint of cel shading. This figure comes in special window box packaging with opening flap to re-create the look and feel of the classic 1987 video game packaging.